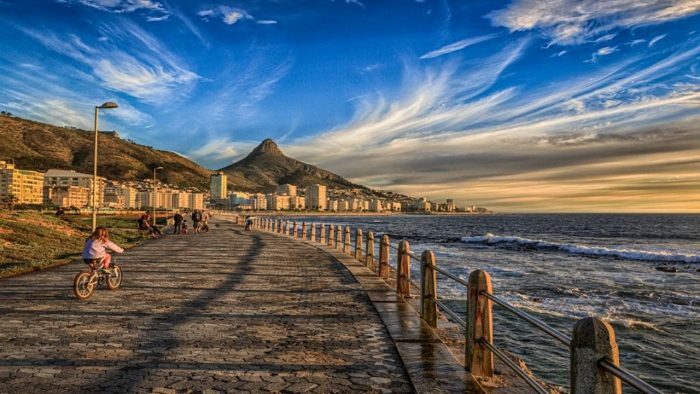 The Cape Town shore is lined with beautiful beach neighborhoods, rugged cliffs and beaches. Camps Bay beach is one of the nicest in the area. It is known for its backdrop of Table Mountain and the Twelve Apostles, which are cliffs on this side of the mountain that form an undulating series of buttes. Victoria Road parallels the beach. This main drag is jam-packed with funky restaurants, trendy pubs, and bucket-and-spade shops on one side. 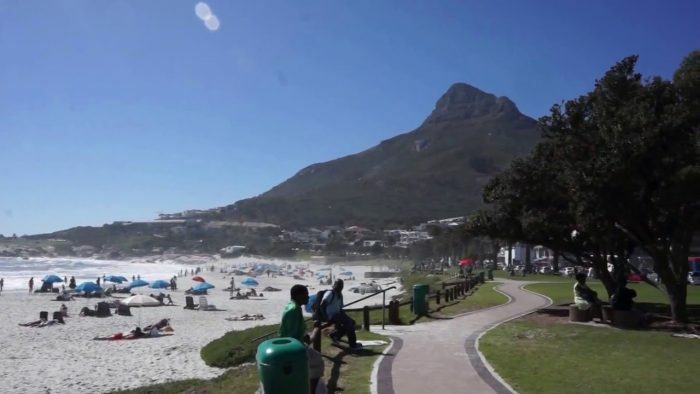 Begin your run at the intersection of Camps Bay Dr. and Victoria Rd, and head north with the beach on your left. Depending on what surface you prefer to run on, you can stick to the sidewalk of Victoria Road, or run on the beach. At the north end of Camps Bay Beach, keep left and take the little walkway which leads to Glen Beach. When cliffs begin to block your way, turn up a walkway back to Victoria Rd. Follow Victoria Road until you pass the last of the buildings in Clifton. You’ll reach a sharp curve in the road where you get expansive views. This is your turn-around point. Head back the way you came getting all the great views from the opposite perspective. Reward yourself at the end with a swim in the sea and breakfast in Camps Bay! Intersection of Camps Bay Dr. and Victoria Rd.